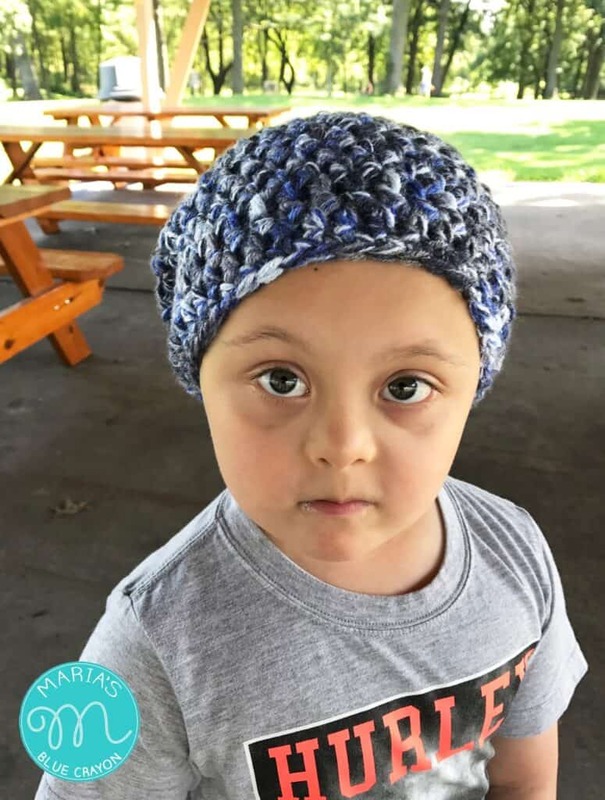 You may purchase the ad-free PDF printable on Ravelry for $1.00 which includes toddler, child, adult, and adult large sizes. Thank you for your support! **Scroll down for the free pattern!! 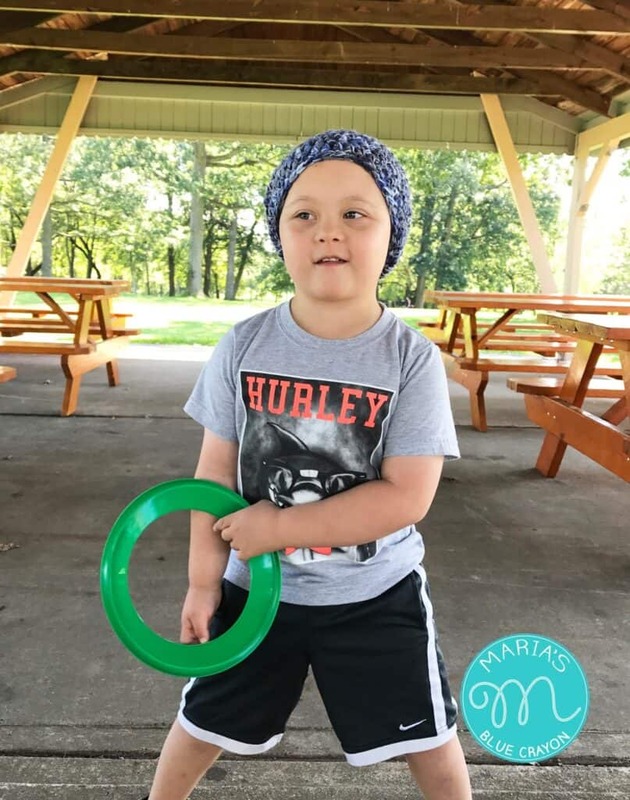 Every year I make my son several hats for the cold months, and every year he has his ‘go to’ hat that he prefers. This slouchy beanie is easily going to be that go-to hat this year. He seems to prefer simple beanies without the earflaps so this is the first one I whipped up for him. He has already worn it several times on the cooler mornings we have had and offering another hat is just ludicrous to him. He is very particular about hats, so when he keeps them on for more than ten minutes – you know it’s a comfortable hat. The yarn I used for this was on clearance at Michael’s. I fell in love with the color way and had to pick it up even though there was only one skein left. 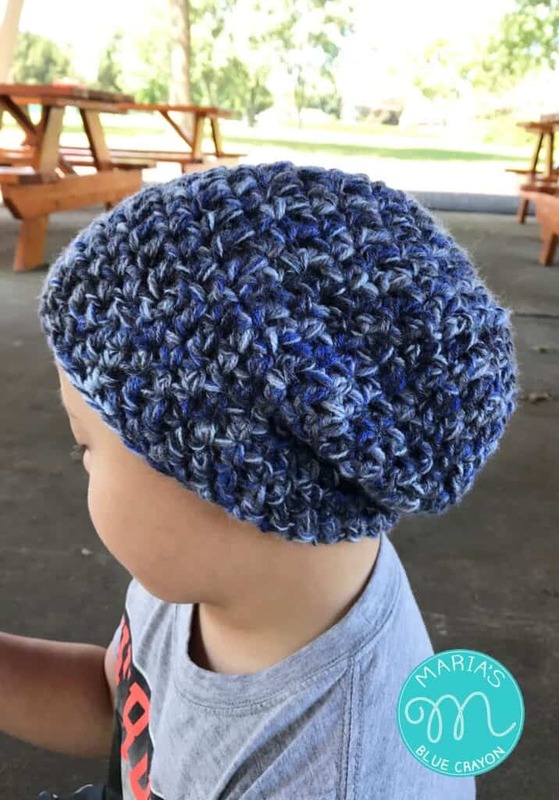 The one skein worked perfectly for this perfect little slouch for my little guy. 🙂 The yarn is Lion Brand’s Woolspun which is 20% wool/80%acrylic. It’s super soft and nice to work with. 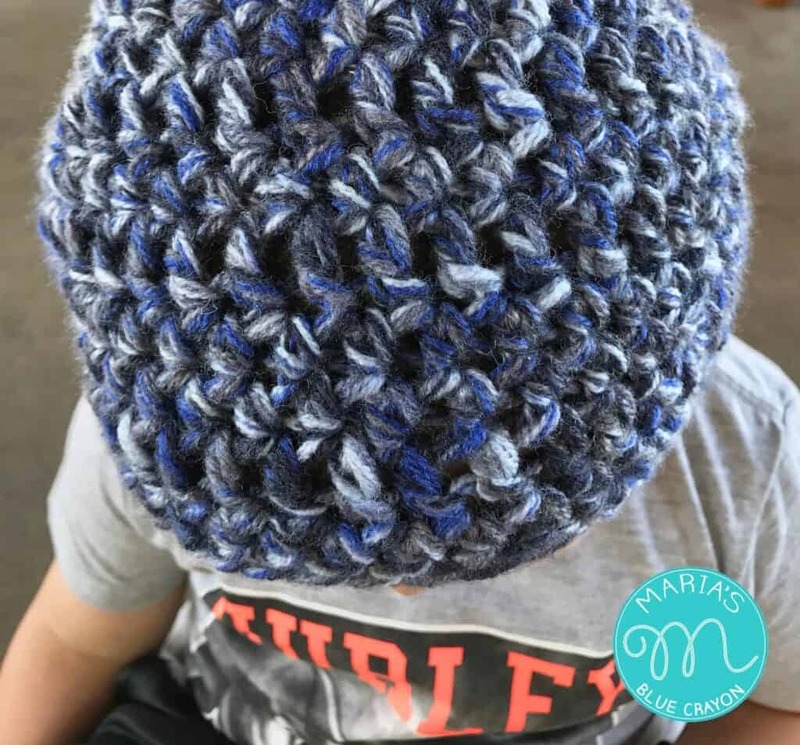 This slouchy is unisex although the name of the beanie may infer differently. (I just had to name it after my son since it is his go-to hat this year!) It’s available to make in the following sizes: toddler, child, adult, and large adult. In the pattern below, make sure to take a peek at the head circumference size in parenthesis to choose the best size. Beginning chain in each round does not count as a stitch. The yarn used (Lion Brand Woolspun) is considered a bulky 5 weight yarn, but I have found it a bit thinner than the usual bulky 5 yarn. I would suggest sticking to the Lion Brand Woolspun when following this pattern to get the correct size. If you need to substitute, I would chose a medium 4 weight but I can’t guarantee what the outcome will be. Very cute hat and Trevor! Our winters have been so mild that my grandchildren rarely use coats! I'm saving your pattern – just in case!! Thank you for posting such cute patterns!